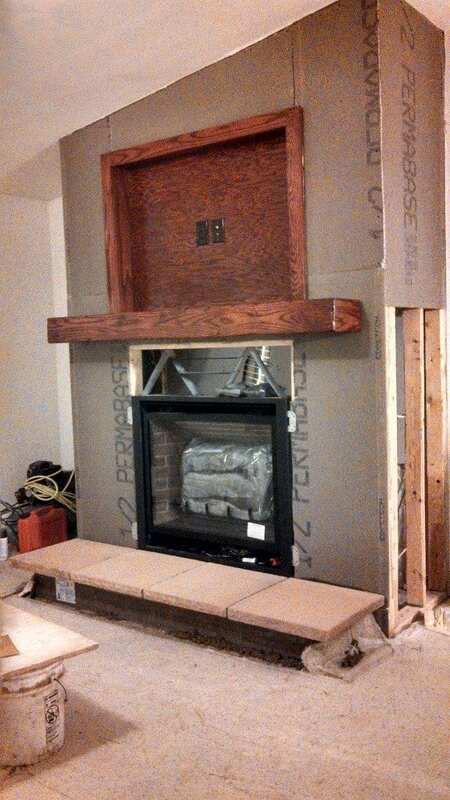 Looking for some inspiration for a new fireplace? 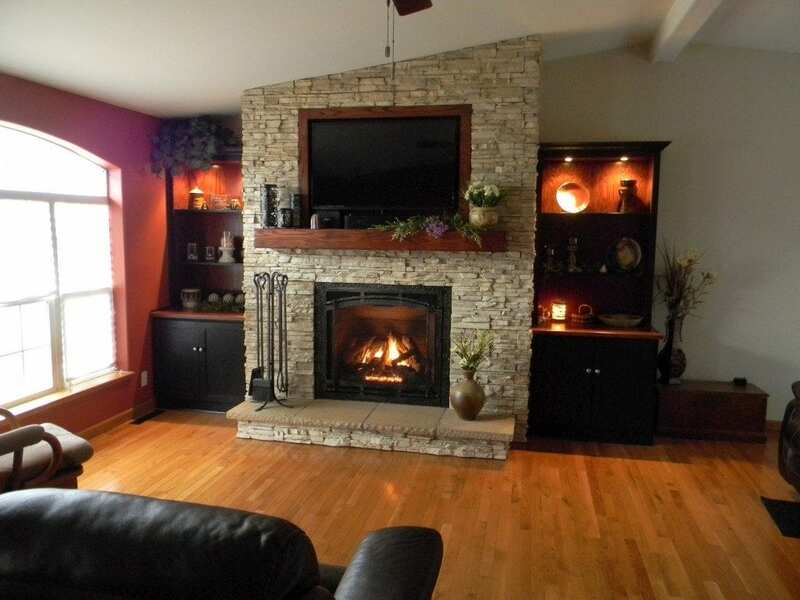 The Chimney Specialists team in Highland, Wisconsin recently gave one family’s fireplace a huge facelift that dramatically changed the look of the living room. They took the former white space and transformed it, giving it a rustic, yet modern look. The customers wanted to replace their Superior branded zero-clearance wood-burning fireplace and give the white space a fresh new look. 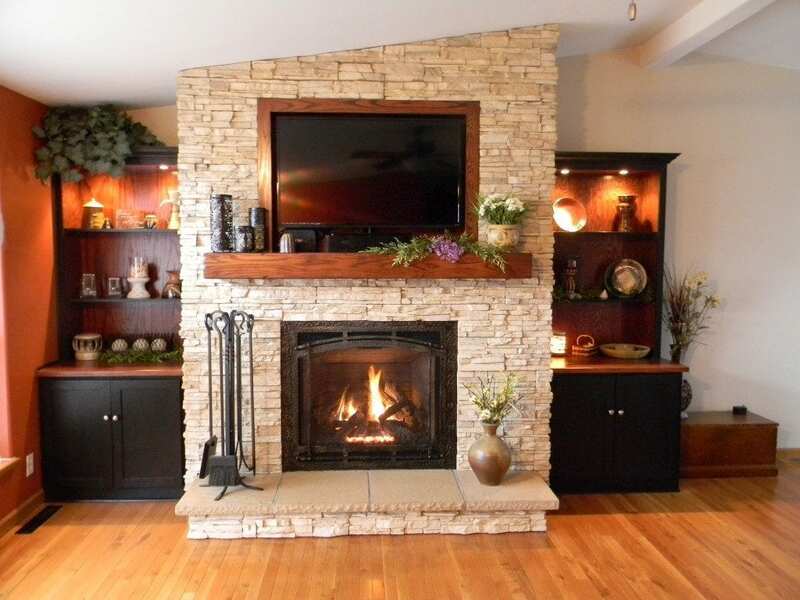 They went into the Chimney Specialists showroom with very clear expectations: a beautiful gas fireplace that had a realistic-looking flame and would provide a substantial amount of heat. 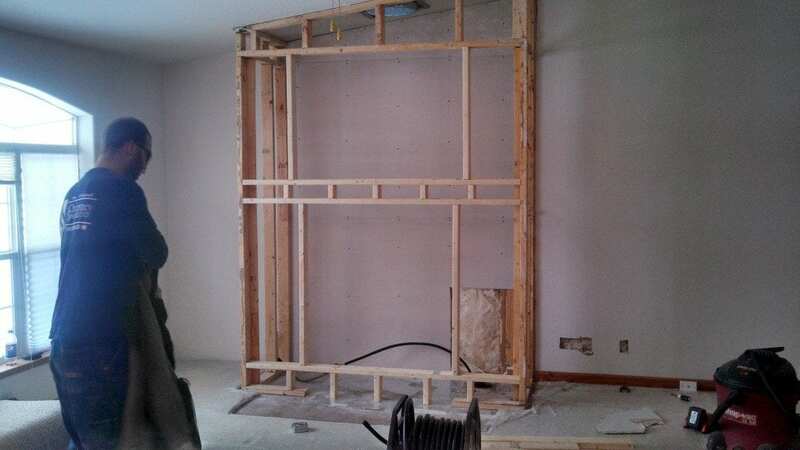 And they wanted the surround to have a rustic and modern feel. Curt Breiwa, Sales Manager for Chimney Specialists, started designing the space with these criterion in mind. 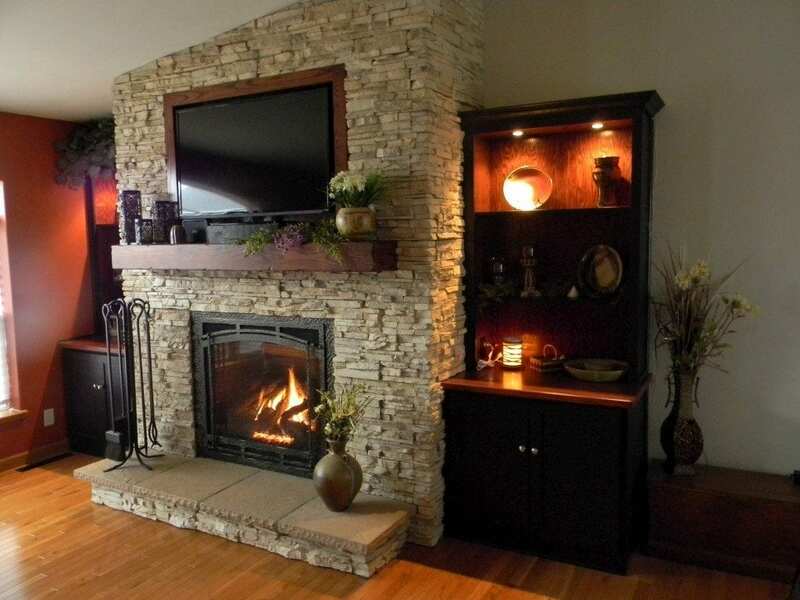 First, here commended the Ambiance Intrigue gas fireplace that had one of the best-looking flames and met the owners’ other criteria. For the rustic look, he used materials like stacked stone and oak, and added a modern touch with a black stained finish for the cabinetry. 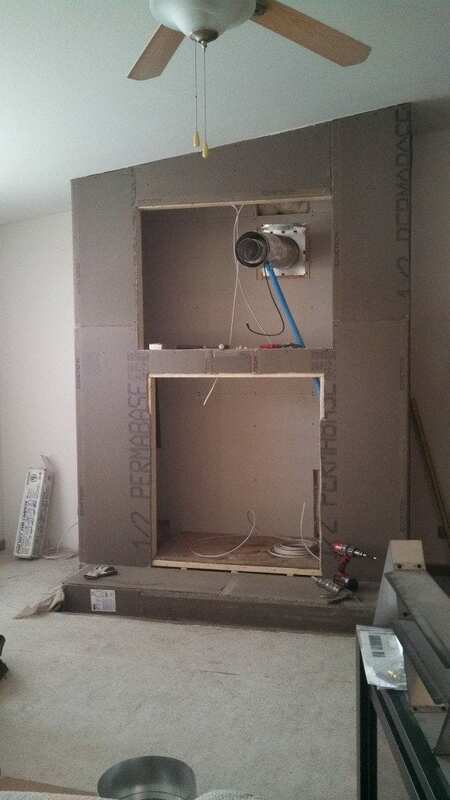 The project took almost a week to complete - three days to remove the old fireplace and do the prepwork for the new one and another two days to finish the installation and stonework. And that’s not including the time for all the design work. Besides Breiwa, there were two installers involved in the project.“I think it's one of the nicer installations we've done, he says. He goes on to say that the team has done a lot of beautiful work, but this installation came together very nicely, with the cabinetry and the TV enclosure over the fireplace. “It became a really nice space for the homeowner to spend time with their family. It seems like a completely different home now,” he says. How much does this kind of makeover cost? Breiwa says that similar projects, with everything included, can range from $13,000 to $15,000, while smaller projects cost around $6,000 to $7,000. “The advice I would give to a person when they’re considering a fireplace makeover would be to think of the feel you want to have in your home. 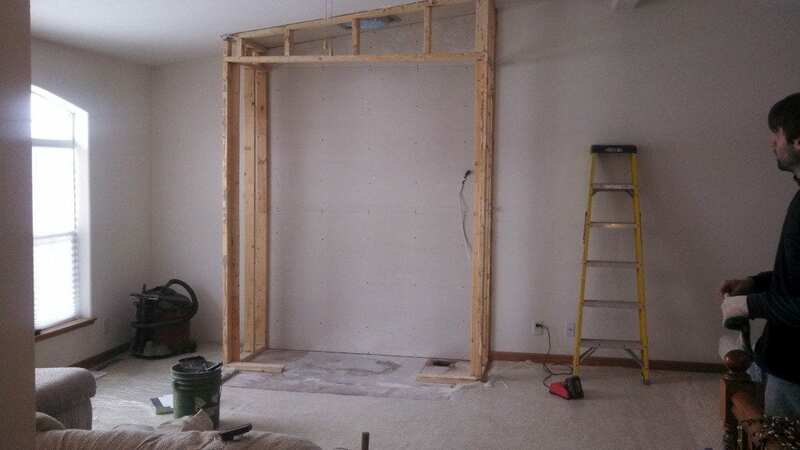 Even when you’re not using the fireplace in the warmer months, it’s still the centerpiece of your home in most cases, and you’re looking at it every single day,” he says. 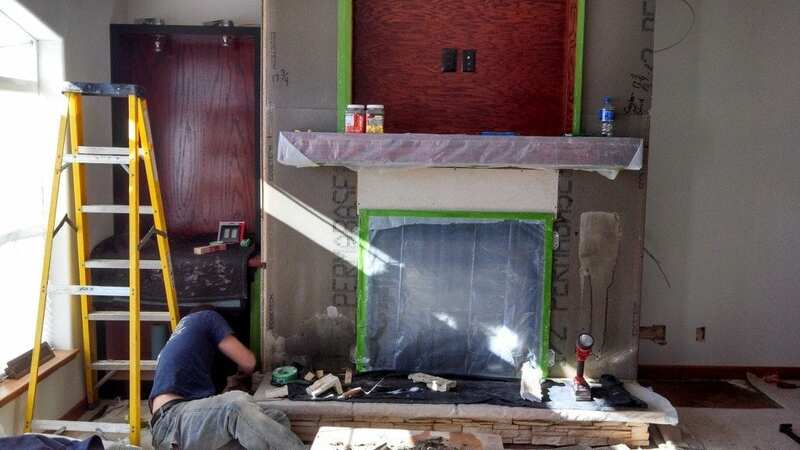 He recommends giving careful consideration to the materials chosen, whether the stone or the finish around the fireplace, as well as the fireplace itself. What if you have a smaller budget? Breiwa recommends that you first take into consideration the fireplace itself. Choosing an appliance that has simpler controls will help you reduce the overall cost of the project.